100 years ago today, 16 year-old Charles Findlay, took a ferry ride from Georgia into South Carolina. But 100 years ago, there was no Lake Hartwell, and there was not even a bridge across the Tugaloo river. So a ferry was the only way to get across, unless you were a really good swimmer. 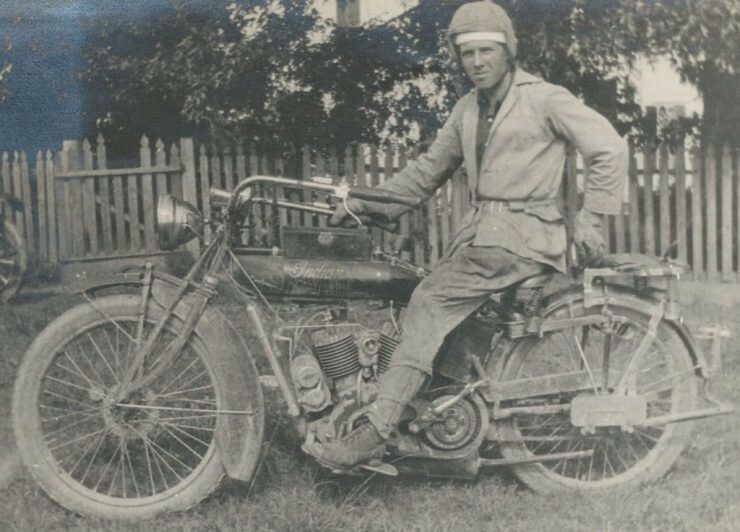 And somehow, Charles didn’t think his 1916 Indian motorcycle would fare too well on a swim. Charles was making the 1400 mile trip from Montgomery, Alabama to Abingdon, Virginia. Luckily for us, he kept a detailed hand-written journal of his trip. Come to find out, setting waypoints on his GPS app wasn’t an option in 1916. Today, 100 years later to the day, Gwen Phillips loaded her 2016 Indian motorcycle onto a ferry at Sentu Point on Lake Hartwell on her way across to South Carolina. She is not only recreating the river crossing, but the entire 1400 mile trip which she has been planning for years. Each road and each stop will be duplicated from beginning to end. I was there to send her off today at Sentu Point. Click here for photos from this morning and click here to find out more about her journey.